Lisbon’s main cycling route has been transformed with this brilliant typography that makes the city’s 7,362-meter bike path along the river Tagus all that more fun and easy! 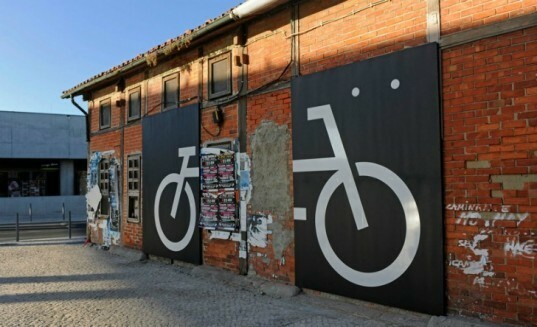 A collaboration between Lisbon-based communication and environmental graphics studio P-06 Atelier and Global Landscape Architects, the Bikeway Belém is awash with symbols and text painted directly onto the street. 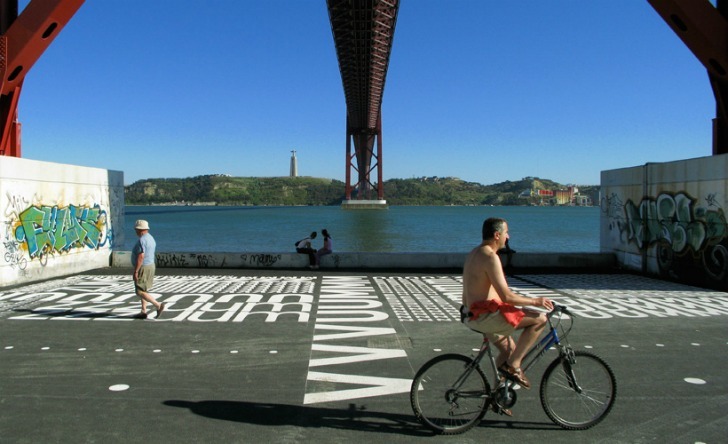 From helping cyclists find their route to a verse by Portuguese poet Alberto Caeiro about the river Tagus, the path has been transformed with these dynamic typographic marks. Scatterings of ‘zuuuums’, ‘vuuuums’, punctuation, and arrows enhance what looks like an already stunning ride, making the path truly one of a kind. Bike routes in Lisbon have been transformed with this brilliant typography that makes the 7,362-meter bike route along the river Tagus fun and easy. A collaboration between the Lisbon-based communication and environmental graphics studio P-06 Atelier and Global Landscape Architects, the Bikeway Belém is awash with symbols and text painted directly onto the sidewalk. From helping cyclists find their route to a verse by Portuguese poet Alberto Caeiro about the river Tagus along one of the piers, the path has been transformed with these dynamic typographic marks.